ICN-130 - DB25 Screw-Terminal Board: Plugs onto the DB25 connectors on any of PMC's ICN-12x series D-sub interconnection boards for the MultiFlex ETH 1000 series motion controllers. 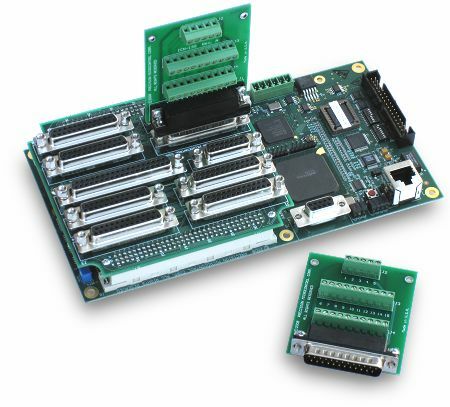 Also can be connected to the MultiFlex ETH 1000 series motion controller via DB25 extension cable, such as the CBL-DB25. 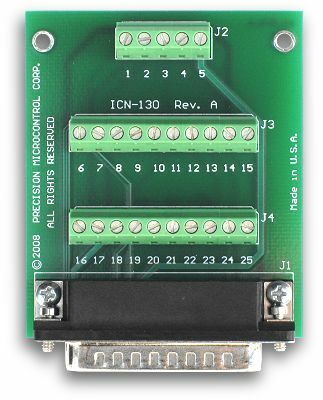 The ICN-130 features 25 screw terminals for convenient access to axis I/O.